For someone who doesn't believe in privacy, Mark Zuckerberg is awfully guarded. He has made Facebook public by default, and yet his own public posts are few, far-between, and tend towards the anodyne. Facebook's share-everything CEO even went so far as to keep his recent wedding a secret from his own friends, presumably to avoid public scrutiny. For all his bluster about public sharing, Zuckerberg reveals very little of himself. That needs to change. Facebook's entire business model relies on you sharing information about yourself and others so it can monetize your private moments—converting your Likes, your friendships, your thoughts and messages into ad campaigns. Zuckerberg is claiming ownership of your privacy, one Like at a time. So it only seems fair that we (as Richard Dreyfuss suggested) own something of his as well. And we're willing to pay for it. Welcome to the Summer of Zuck. Two years ago, Mark Zuckerberg told startup publicist Mike Arrington that "people have really gotten comfortable not only sharing more information and different kinds, but more openly and with more people. That social norm is just something that has evolved over time." Facebook has evolved over time too. No longer privately held, it is itself a public company, with a public CEO. We think it's time he evolves along with his company. In short, it's time for Mark to go public too. Here's the deal: We're going to pay for photos and videos of Mark Zuckerberg taken between now and Labor Day. Snap a photo or shoot some video of Mark. At a bar, after a conference, on the street. Totally great. We want pictures of him that he isn't expecting to have made. If we run it, we'll send you a cool $20. $100 if you catch some PDA with Priscilla. 1. Photos and videos must be new. We don't care what happened when Facebook was a privately held company. 2. Photos must have EXIF data intact - we want to be able to verify when and where it was taken. 3. The subject of the photo must obviously be Mark Zuckerberg. If we have to argue over whether or not it's him, sorry, but that won't cut it. 4. Photos taken at conferences or other settings where he has previously announced his attendance don't count. 5. You must own or have been given the rights to the photos that you send to us. 6. You must not invade someone's privacy or break any laws to obtain the photos (i.e. don't use a telephoto lens in the bushes or from trees or trespass on someone's property). 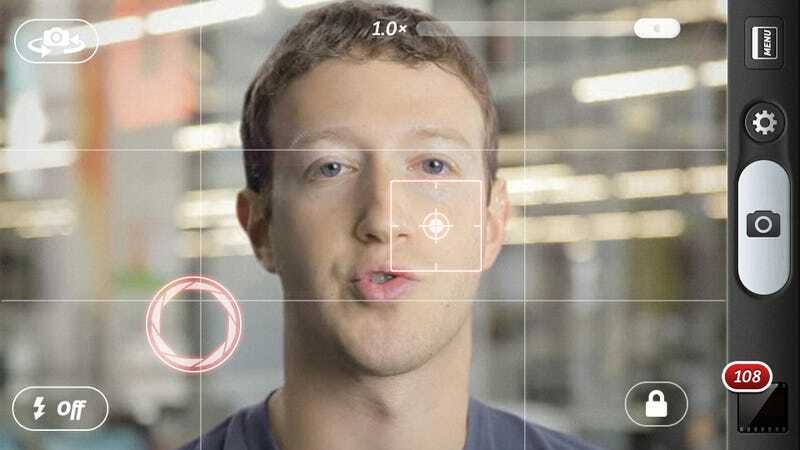 If your picture meets the above criteria, and we run it in our Summer of Zuck series, we'll cut you a check. You can enter as many times as you like, and of course Facebook employees are eligible. Anonymity is important to us if it's important to you: we'll go to spycraft-level lengths to prevent anything being traced back to you. We encourage photographers to pursue the perfect shot through all legal and honorable means; please no urban ninja tactics and remember the laws of the land still apply. We ask that you to stay within the bounds of the law and note that our standard contest rules apply. We reserve the right to limit, or restrict upon notice, participation in the Contest to any person at any time for any reason. Void where prohibited. So come on. It's the Summer of Zuck. Let's see what you've got.